The lobby group Bicycle Network says people should be paid to ride to work. NOW the federal election has been called, groups are lining up to pitch their wishlists to candidates - and a major cycling organisation has proposed a bold idea. Bicycle Network has 50,000 members across Australia and has called on the major parties to commit to making it easier for people to ride to work. 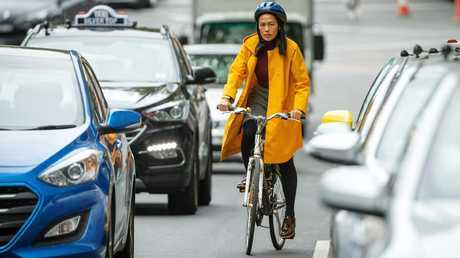 The lobby group argues more people hopping on their bikes would reduce traffic congestion, help with cost of living pressures and boost health and fitness levels. And it wants the government to pay people $5 each time they ride to work, in a bid to increase cycle commuter levels. 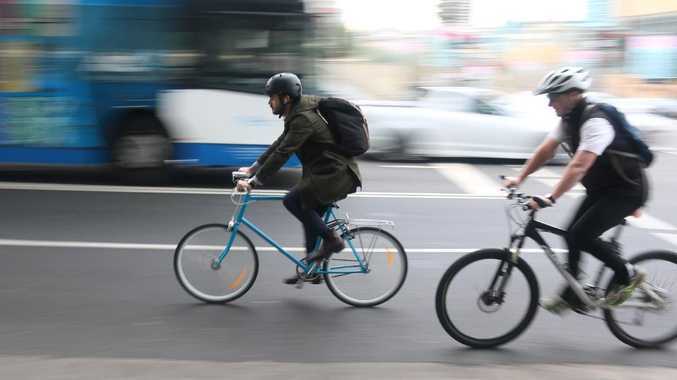 "Australians want to ride bikes and get active more than ever, but we need federal leaders to stand up and say that active, space-efficient, sustainable transport is our future," Bicycle Network boss Craig Richards said. More people riding to work would help relieve congestion, reduce cost of living pressures and boost health. Mr Richards points to research that shows every kilometre travelled on a bike contributes a benefit to society of $1.07. That figure is calculated by estimating the reduced costs of congestion and ill health. With the average bike commute being about 10 kilometres, the societal benefit of $10 means the incentive payment would still leave the government better off. By contrast, Mr Richards said the average commute in a vehicle costs Australia up to $9.30. "The growing cost of living is hurting everyday Australians. At the same time, we're wasting our days stuck in traffic as congestion chokes our cities and economy," Mr Richards said. "By incentivising bike riding, we will save money, benefit entire communities and build a nation of happy and healthy Australians." The Bicycle Network wants government to encourage Australians to ride to work. 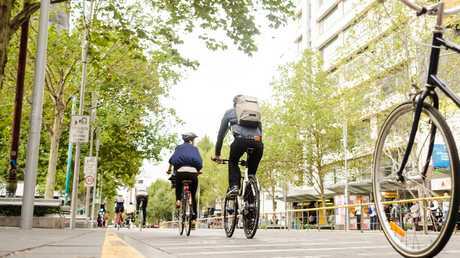 New analysis reported by news.com.au this week showed Aussie households could save up to $1500 a month by ditching their cars and getting on a bike instead. 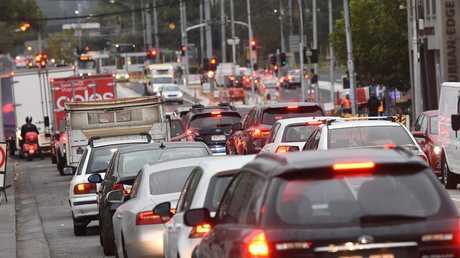 Transportation costs are rising at a faster rate than inflation, and the average family spent $18,221 last year in getting from point A to B in their car, according to data released by the Australian Automobile Association. The AAA data also found the cost of owning, operating and maintaining a vehicle increased by $7386 in 2018. 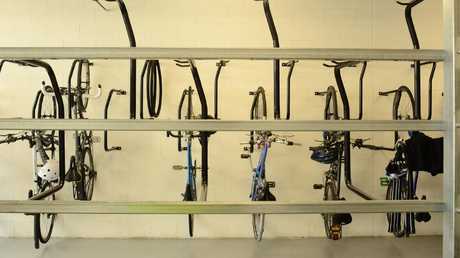 Bicycle Queensland boss Anne Savage said it cost a small fortune to have a car - from registration and maintenance to fuel and parking. "While most people associate cars with movement and freedom, they're parked more than they are driven - in fact, it's estimated that cars are parked 95 per cent of the time," Ms Savage said. In addition to the cost savings, she said riding a bike had a range of health and environmental benefits. "Cycling is low impact, higher intensity than walking or jogging and offers the added benefit of increasing strength and muscle tone while improving cardiovascular fitness," Ms Savage said. "Cars emit about half of all transport-related greenhouse gas emissions in Australia every year and account for about 70 per cent of air pollution in Brisbane. "At the population-wide level, shifting just 5 per cent of short-distance car trips to active transport could result in a reduction of between 20,000 and 50,000 motor vehicle trips per day on our roads - decreasing congestion and vehicle emissions and reducing the costs of road maintenance and repairs." Bicycle Network said its proposed scheme to pay people to ride to work would cost an estimated $500 million annually. But the financial benefits would be "at least the same amount", Mr Rogers said. It's one of a number of proposals contained in the group's election policy paper, which it released today. "This is a perfect opportunity for electoral candidates to get themselves elected by doing something that will benefit Australians today and in the future," Mr Rogers said. On Thursday, Prime Minister Scott Morrison announced the country would go to the polls on May 18, in what's expected to be a close contest. 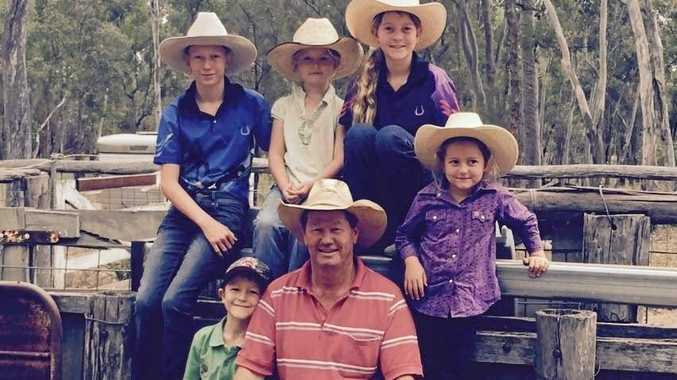 Health When Murray Sturgess received his bowel cancer kit in the mail last July he was pretty confident; this was one test he would have no trouble passing. News Surat Basin gas sector commended. Lifestyle Sonny won't face his battle with leukaemia alone. Breaking She was playing with a group of friends at the time.